In recent years, there has been an increased trend in determining and characterizing naturally occurring mineral deposits for asbestos, erionite and other fibrous minerals. Samples collected outside of building atmospheres pose a unique challenge to analysis. Minerals can look chemically different based on locality and are often not the only mineral present. Therefore, it often takes a suite of analyses and a team of experienced analysts to characterize these samples. 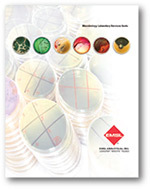 EMSL Analytical, Inc. has been on the forefront of naturally occurring asbestos (NOA) analysis. As an U.S. Environmental Protection Agency (EPA) approved laboratory, we have extensive project experience to assist you in your analytical goals. By harnessing the power of our extensive analytical instrumentation, we can offer fully customizable analytical plans that are carefully developed to best serve the data objectives of your project. 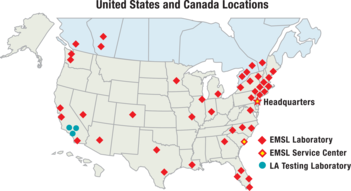 EMSL has been a project partner at the Libby Superfund site since 2001.